We just concluded the sixth week of this year’s Nordic Tour, and things have been very busy. After running classes in Fitjar (for that Blog entry click HERE) we made our way to Bekkjarvik, also on the west coast of Norway. We had two days of classes, with the first day’s participants being primarily teenagers. Teenagers are energetic and great to work with, and we had a wonderful day teaching Fun – Balance – Games and Rolling. The following day we ran the same classes, but with adult participants. Both days had gorgeous weather and warm water. 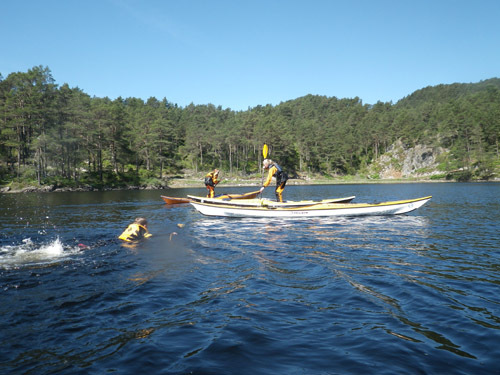 The classes were hosted by the Havstril Padleklubb and partially sponsored by the local bank, Ragnhild H. Bjanesoy. Special thanks to Trond for organizing the classes, and Laila for providing accommodation in her gorgeous summer house. Balance games can be lots of fun. Of course swimming around on a hot day can be fun too. Whoever said that kayaks need to be paddled sitting down? 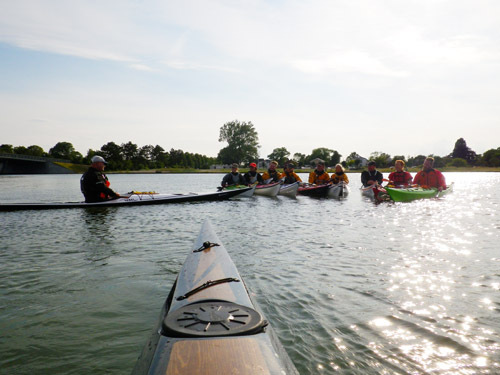 Our next stop took us to the Rungsted Kayak Club in Denmark. I taught Simplifying the Roll, while Mark taught Simplifying the Stroke. We were only at this club for an evening, but we had lots of fun teaching and hanging out with this active group of paddlers. Everyone made us feel very welcome, and it was fun to mingle in the Club’s wonderful facility after the classes. Thanks to Lisbet for hosting us. After Rungsted, our travels took us to the Kajakhotellet, located in Copenhagen, Denmark. This was our second year teaching there, and it was great to be back. The first day we taught Complicating the Roll and Fun – Balance – Games, and the second and third days we taught two sessions of Simplifying the Roll and two sessions of Complicating the Roll. We got to know Club members at a barbecue on Friday night and a party on Saturday night. Thank you everyone for making us feel so welcome! Special thanks to Anders and Jenny for taking such good care of us. Yoga is a great way to get in touch with the body and mind before a rolling class. Mark talks technique with an enthusiastic group of participants. 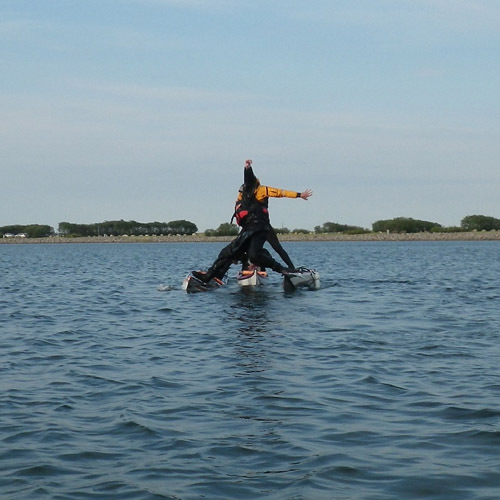 Dancing is just one thing that you can do in a kayak. Yet another way to paddle a kayak. We’ve been working through lots of rolls with lots of participants. Here, a norsaq roll is born. Our next stop was Oslo, Norway. We’d had to cancel the four days of classes that we’d previously scheduled there because of a car accident (for that Blog entry click HERE), but it was good to be back for three days. 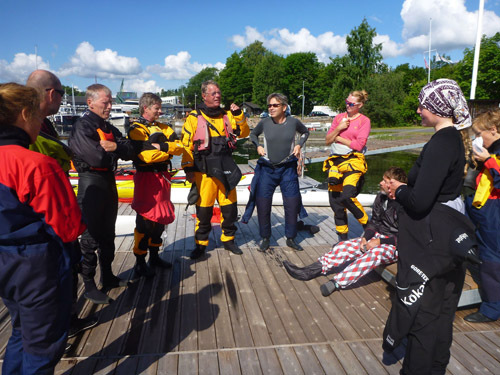 The Oslo Kayaking Club is quite spectacular, and the venue includes kayak storage, a gym and a meeting room, complete with a traditional kayak on the wall. Throughout the three days I ran five sessions of Yoga for Paddlers, and Mark and I ran five Simplifying the Roll classes and one The Art of Teaching Rolling class. We’re really glad that it worked out for the Club to reschedule. Thank you for being so accommodating! Special thanks to Ketil for setting up the classes and Inge and Einar for hosting us. The Balance Brace is the foundation to most layback rolls. After the Balance Brace comes the Standard Roll. The Art of Teaching Rolling Class discusses rolling before launching. Our final stop on this part of the tour was in Grebbestad. Grebbestad is a charming town on the west coast of Sweden, and we just love it there. This was the fifth year that the KajakCenter has participated in the Nordic Tour, and over the years many of the staff have become friends. It was great to be back! 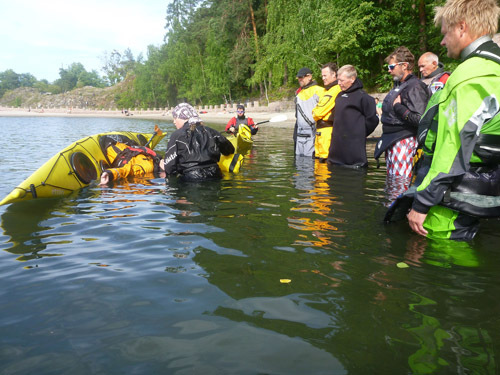 We ran two full-day Simplifying the Roll classes in crystal clear water amongst Grebbestad’s fantastic archipelago. The participants and staff were wonderful, and it was great to catch up with so many people and to make new friends as well. Thanks to Mats for hosting us. Now we’re on our way to South Greenland to guide a 12 day expedition and stop in at the Greenland National Kayaking Championship. We’re very excited to be going to Greenland for our fourth time each. 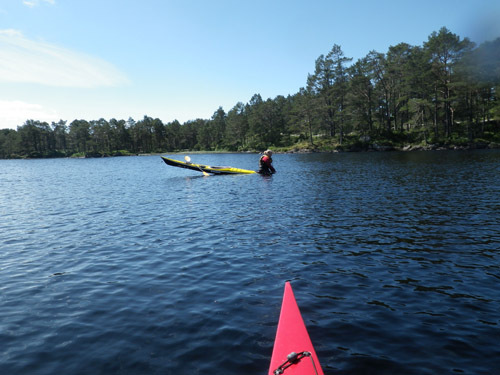 The Nordic Tour will resume in Nynashamn, Sweden on July 24 and will continue through August 31. Every now and then life reminds us that no matter how much we plan and prepare, the unexpected can happen when you least expect it. July’s newsletter is a little late this month because we’ve had one of those unexpected months, and it has taken us a few weeks to pick up the pieces and move forward. Over the past few weeks our Nordic Tour has taken us to Bergen, Fitjar, Bekkjarvik and Oslo in Norway, Rungsted and Copenhagen in Denmark and Grebbestad in Sweden. It has taken us to many incredible places, such as Naeroyfjord and Preikestolen in Norway. We’ve caught up with old friends and made new ones and have had many wonderful days teaching on gorgeous seas and lakes. For the most part the weather has been hot and sunny, a reminder that summer is in full force, and evenings outside under a summer sun that never truly sets have been magical. Now we’re in the first week of July, and things are looking more positive. 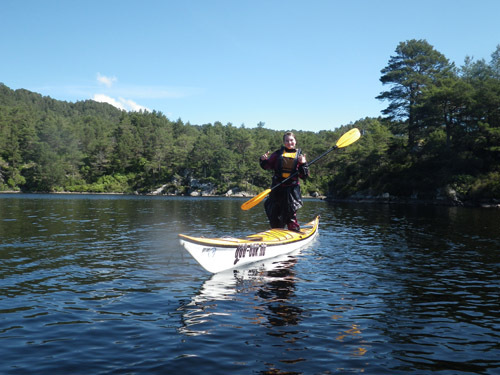 Our injuries are mostly healed, and Rebel Kayaks has loaned us a car and two new kayaks. The first part of the tour is over, and we’re now in route to South Greenland where we’ll be guiding a 12 day expedition. 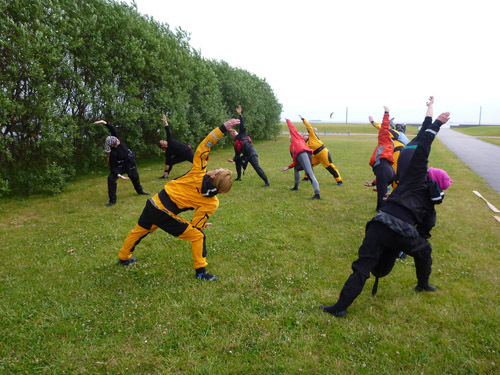 The expedition will take us to several villages, some natural hot springs and the Greenland National Kayaking Championship. This will be our fourth trip each to Greenland, and we can’t wait to be back. Greenland is a wonderful place, and in less than a week we’ll be experiencing the serenity and magic of Greenland as we paddle around majestic icebergs and relax on secluded beaches. For those who are interested in joining us for a future trip, our next Greenland expedition is planned for the summer of 2016. 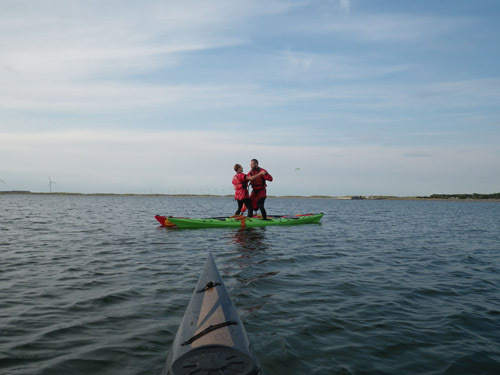 In recent weeks we’ve heard a lot of people talking about “rolling kayaks.” Essentially, a “rolling kayak” is a kayak that is designed to be easier to roll than a standard sea kayak. So is a rolling kayak a good thing? The answer is yes and no. 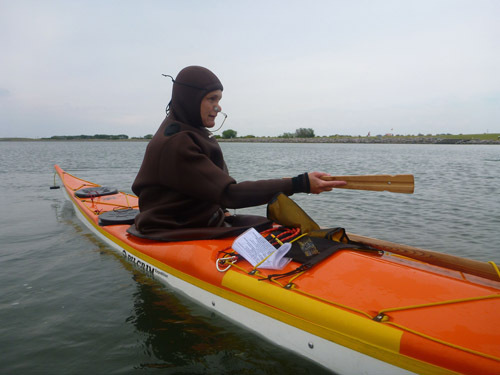 With good technique, a roll can be done in any type of kayak, which is why it is best to never take away a student’s kayak. 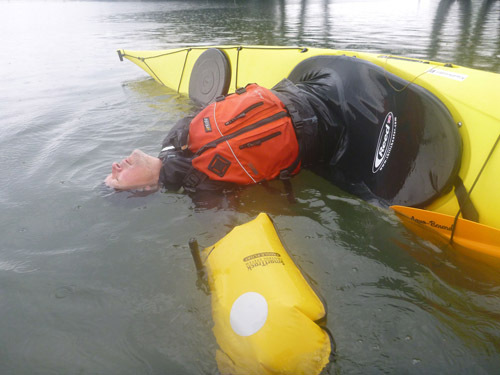 If a student tells you that their kayak doesn’t roll, get in it and show them that it does. This is better than putting them in in a kayak that will roll up when using poor technique. 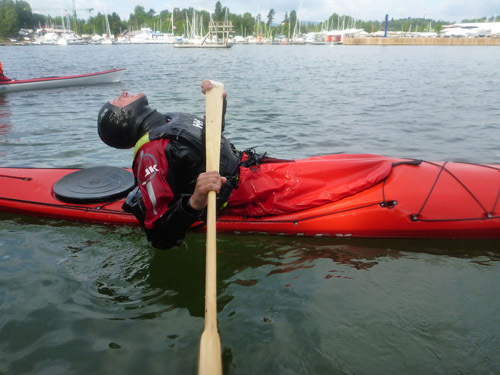 A beginner roller needs the feedback that a standard kayak provides. If they come up, the roll was done right. If they don’t, then technique needs to be adjusted. 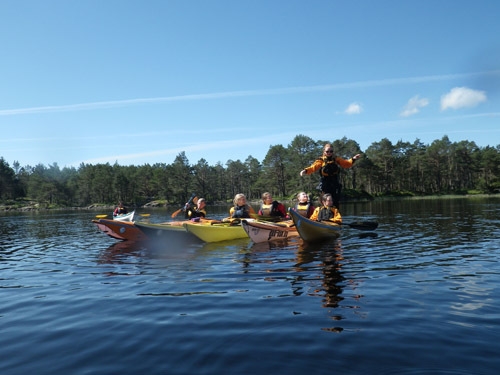 So who should use a “rolling kayak?” Those with good technique already. 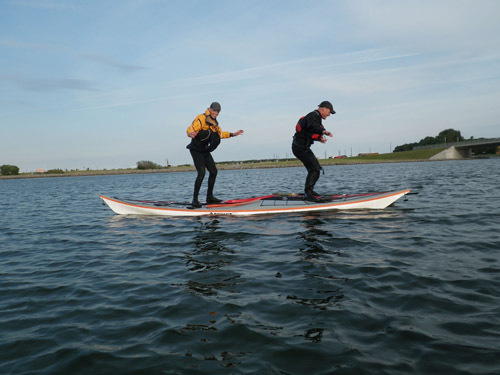 A rolling kayak will be gentler on the body during extended rolling practices, will be more comfortable during some of the more complicated rolling maneuvers and the low profile of these kayaks makes them look very slick. Plus, they’re fun to roll. So remember, if you use a “rolling kayak,” focus on good technique. Enjoy your “rolling kayak,” but make sure you’re doing the rolls correctly.